was born April 03, 1946 at a meeting held at the Clintonville City Hall. Nearly 150 people attended the meeting, which was presided over by Mr. A.N. Brunner of Leopolis. A new organization was being formed. That organization, the dream of Brunner, brought together the Wolf River League, the Shawano County League, and the Little Wolf League. Four divisions comprised the B.A.B.A. in 1946. Leopolis, Tilleda, Bowler, Morris, Tigerton, Caroline, Marion, and Neopit. Bonduel, Cecil, Gillett, Pulaski, and Krakow. Wittenberg, Birnamwood, Eland, Hately, Galloway, Elderon, Almon, and Rosholt. At that meeting A.N. Brunner was elected Commissioner. The basic by-laws of the B.A.B.A. have not changed much since being put together in 1946. The league was formed on the premise that the league would be comprised of amateur baseball players. And those players would be local. Teams were not allowed to bring in “ringers” from outside the boundaries of the B.A.B.A. A.N. Brunner wanted ALL teams big or small to have a chance at the end of the season to win the championship. Teams could only list players from a radius of 10 miles from their ballpark, unless they were granted a release by the other B.A.B.A teams. A practice still in place today. Mr. Brunner was also a promoter of the league. Early records indicate his displeasure with several teams when they failed to get box scores in to secretary Melvin Lemke on time so they could be published in the area newspapers. Notes say Leopolis was a big violator of that rule. That frustration still haunts the B.A.B.A leaders in 2009. Mr. Brunner demanded that managers and team leaders know the rules. As the 2011 season sets to begin this year the four divisions that make up the B.A.B.A are as follows. Eastern – Clintonville (2008 Champions), Gresham, Marion, Menominee, Shawano, and Neopit. Western - Bowler, Caroline, Leopolis, Little Falls, Tilleda, and Tigerton. The South Central - Plover, Scandinavia, Manawa, New London, Lanark, Waupaca (2010,2011 Champs), Weymont, and Rosholt. Northern Division - Birnamwood, Almon, Eland, Aniwa, Wittenberg, Hately, and Elderon. Craig Brei is the Commissioner of the B.A.B.A. The Vice Commissioner is Nate Krake, Anthony Buss Jr. North President, Dave Peterson South/Central President, and Joe Kristof is East/West President. Many teams will hold Hall of Fame ceremonies throughout the season this year. Those games are indicated by (HOF) next to the game. This summer come out to one of the parks in the B.A.B.A. Admission is STILL only $2.00 per adult. Kids get in the games free. Where baseball is still viewed as a game, not a business as some of the multi-millionaire professional players like to call it. Sit back and listen to the some of the old timers in the stands talk about their playing days. Smell the fresh cut grass, the popcorn being popped, and the unforgettable fragrance of steaming hot dogs topped with kraut. Maybe just for a few hours you can relax and let the game of baseball take you back to the days of your youth. When things seemed much simpler. When the joints didn’t ache so much. And just maybe you’ll leave the park with some newfound friends. * I would like to acknowledge that some information for the above was taken from April Malueg’s “Take Me Out to the Ball Game” book, Marion Advertiser, and Clintonville Tribune articles from years past. Baseball fever, however, was nothing new to Portage County. As early as 1901 area communities were becoming involved in state-wide organized baseball leagues. 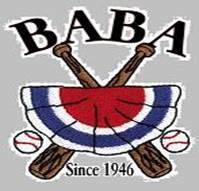 From the State Baseball League of the early 1900s to today's Badger Amateur Baseball Association (BABA), area players have always had the opportunity to compete in baseball well after their high school and college playing days were over. These days, recreational baseball is at a low tide in popularity on the adult level, with more athletes choosing to be involved in softball, golf, volleyball and other recreational sports. But during a period from the 1920s through the 1960s, baseball was not only the country's national past time, it was just about the only game in town. In 1930, not fewer than seven different leagues were flourishing that involved teams from Portage County. Three became particularly popular: the Central Wisconsin Amateur Baseball Association, Wisconsin Valley League and the Portage County League, which ultimately developed into the most competitive and long running league of the bunch. Baseball in the area can be traced back to the 1880s and 1890s when a Stevens Point team competed in a loosely organized schedule against teams from Marshfield, Chippewa Falls, Portage, Appleton and Green Bay. By 1900, Stevens Point and the surrounding cities were fielding teams and traveling considerable distances by train, accompanied by their fans, to find prospective opponents. Various leagues in the area came and went until the 1930s, when the Portage County League emerged as one of the top sports attractions in the area. Membership in the league varied over the years, with Almond, Amherst, Amherst Junction, Lanark, DuBay, Custer, Lake Emily, Mill Creek, Iola, Nelsonville, Plover, Rosholt, Stevens Point and Buena Vista among the perennial entries. Sunday was always game day, and news involving the league dominated the sports pages. Sometimes, the players may have played a little too hard, according to George Roman, who played in the league in 1950s and 60s. In fact, Roman, who played along-side two brothers, Fran and Dave, and his father Francis, admits a few of the principles of sportsmanship that he now preaches to his players as coach of the Stevens Point Area Senior High team went out the window on any given Sunday. Berry and Roman both recalled a fight back in Roman's college days that occurred following a collision at home plate. "One of the craziest things I've ever seen,” said Berry. “It was a brawl, there were guys everywhere. I must have had 10 guys on top of me,” said Roman. “That was the end of the game. They decided to call it in the seventh inning." And the fans usually did their share to add to the festive atmosphere. "The fans would stand down the foul lines and ride you! Oh, man, you had to have thick skin,” said Roman. “It wasn't uncommon to get 200-300 people, and they'd be in the stands betting. We had some real rivalries. That was the heyday of baseball in this area." Alas, those times are gone, albeit not forgotten. The County League began to dwindle in popularity in the late 1960s and eventually folded for good in the early ‘70s. Only the eight team BABA league, which includes teams from Plover, Lanark, Iola and Scandinavia, remains in the area.